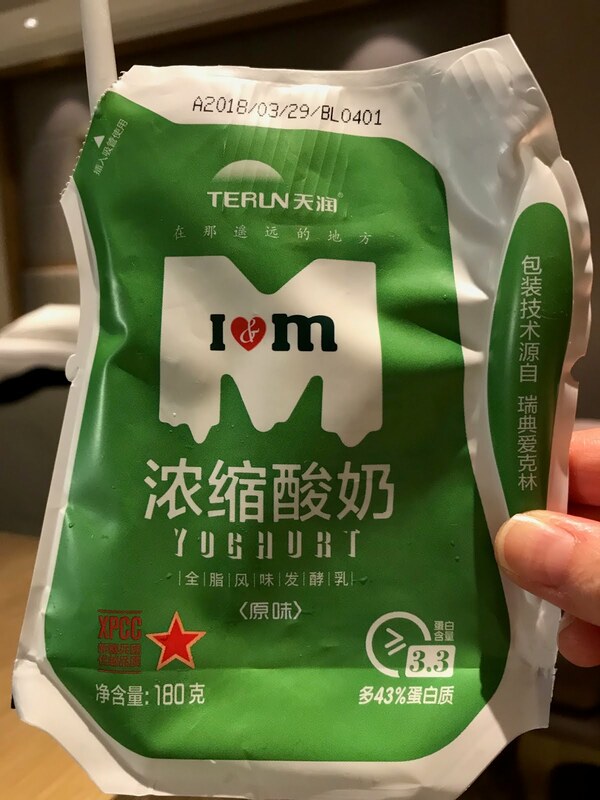 I'm in Guangzhou for work and this evening after dinner I was looking for a yoghurt popsicle in both the grocery store and 7-Eleven but was out of luck. The Chinese really like their yoghurt or maybe the dairy companies are good at marketing. I was drawn to this yoghurt drink packaged in a pouch complete with a straw attached to the back for 6.50 yuan (US$1). There are a few ways to consume this beverage — either pour it out or stick a straw in the perforated hole, or heat it up in the microwave. Microwave? No thanks. I just drank it with a straw and it hit the spot.